Qingzhou Longyue Hydraulic Machinery Co., Ltd.
Hebei Cbies Import & Export Trading Services Co., Ltd. 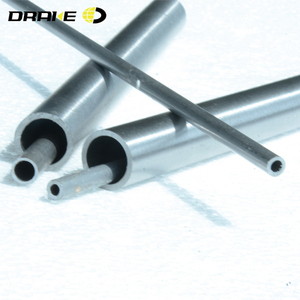 Precision Seamless Tube are widely used in heavy-duty vehicle. It is used in arm, outrigger, bucket, boom, center joint, dozer, ram choking and so on. It is also used in Hydraulic cylinder and Pneumatic cylinder. 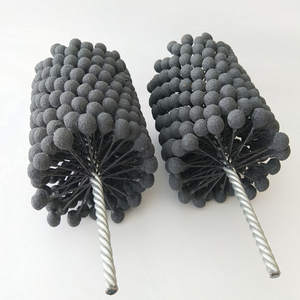 Shanghai Anbao Industry Co., Ltd.
Shandong Liaocheng Yuanhetai Steel Products Co., Ltd.
Shandong MX Metals Co., Ltd. Delivery Time 15-25 days 1. We can provide the free sample for your inspection and check. We always fix steel product in container well to make it safe arrive at destination port. We always provide best and professional forward service and after sales service. Shandong Penghui Hydraulic Cylinder Co., Ltd.
Seamless Tubes of Heat-Resistant Steels Material : Alloy Steel Producing Method: Cold Drawn Size: OD:10-90mm WT: 1-10mm Application: Boiler, Heat Exchanger, Superheater and so on. Minimum Order Quantity 6 meters Pipe Production Qulity Control Third party inspection that is preferred by new customers are proved to be convincing. Through years' of operation, M/S Chengdu Derbo has established stable contact with world famous third party inspection authorities like BV, SGS, INTERTEK, etc, and more than 5000M. Shandong Liaocheng Mingzhao Commercial Trade Co., Ltd. Surface Anti-corrosion oil or as per requirements Application Automotive parts, hydraulic system parts, oil cylinder, aerospace and aviation, shipbuilding pipe, various machinery parts. Package Packing in bundles or according to requirements We supply DIN2391 cold drawn precision honed seamless steel tube, seamless steel pipe, welded steel pipe, alloy steel pipe and other steel products. If you need these products,please contact us freely,you will be satisfied with our better & professional service and we will be your best supplier in China. Q: Do you provide samples 9 is it free or extra 9 A: Yes, we could offer the sample for free charge but do not pay the cost of freight. Q: How do you ensure quality9 A: We only use raw material from leading steel mills like TPCO,Hengyang Valin,Baosteel,etc. We inspect the tubes as cylinders itself, because we know each piece of tube means one or more pieces of cylinders. GXHN is a professional manufacturer of hydraulic & pneumatic cylinders and parts with more than 15 years designing, producing and exporting experience. We are capable of designing and producing cylinders according to customers' requirements, OEM service is available as well. As our main products, the hydraulic and pnematic cylinders are widely used in machinery of engineering, crane & transportation, metallurgy, minning, agriculture and sanitation. Yantai Xinpeng Steel Pipe Co., Ltd.
We also can machine the parts as per your drawing. Chemical Components Testing Machine d. Safe packing : an-rust oil on tubes and rods before delivery. Our company was founded in 2002,with covering an area of more than 20000 Square meters,and more than 100 employees. Cold drawn and cold rolled precision seamless steel pipes and tubes are our main products,for which we have more than 10 years experience. Our quality is ensured and we were certified to ISO 9001-2008 Certificate and got "Jiangsu quality credit AAA grade brand enterprise" title. 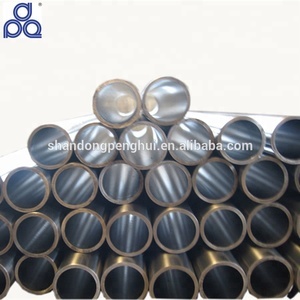 Alibaba.com offers 6,476 honed tube products. About 67% of these are steel pipes, 10% are cylinders, and 9% are hydraulic parts. A wide variety of honed tube options are available to you, such as 10#, 20#, and a53(a,b). You can also choose from astm, api, and din. As well as from sgs, bsi, and ce. And whether honed tube is hydraulic pipe, fluid pipe, or gas pipe. There are 6,451 honed tube suppliers, mainly located in Asia. 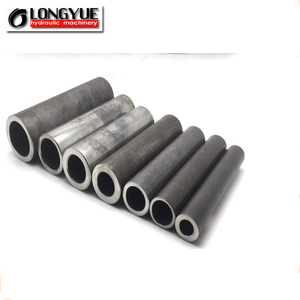 The top supplying countries are China (Mainland), India, and Brazil, which supply 99%, 1%, and 1% of honed tube respectively. Honed tube products are most popular in Domestic Market, Eastern Asia, and Southeast Asia. You can ensure product safety by selecting from certified suppliers, including 3,567 with ISO9001, 274 with Other, and 76 with ISO/TS16949 certification.